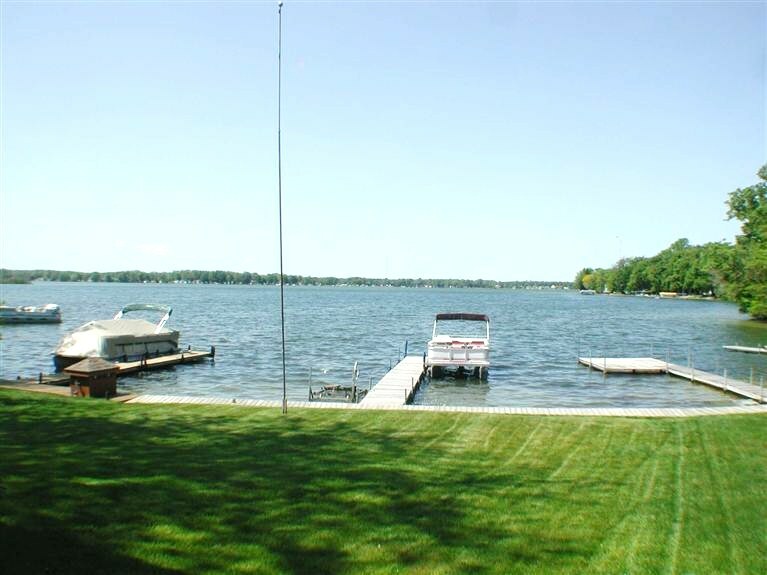 Located on the south shore of West Gun Lake in a cove called Pickerel Cove, this cottage offers 3 bedrooms, all on upper level, and 1.5 baths (1/2 bath on main level)! Will sleep 6-8! 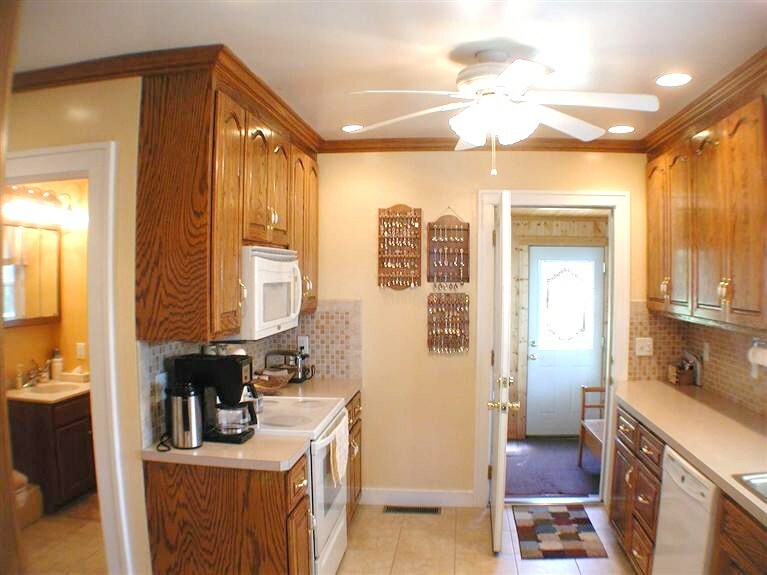 Fully equipped Kitchen, Electric Stove, Ref.-Microwave - Dishwasher, Cable TV & Washer & Dryer! 1600sq.ft. cottage will sleep 6 -8 comfortably! 1 bedroom w/King Size bed, 1 with queen size bed- 3rd bedroom with 2 sets of bunk beds- (3 twins-1 full). Linens and towels provided! Max. Occupancy 8! 46" Flat Screen TV in living room - 2nd TV in Master Bedroom! Parking for 3 cars - 2 behind garage-room for 3rd and boat trailer in vacate lot across st behind cottage! Cottage is fully equipped with all cookware and eating utensils, wicker furniture and dining table in the enclosed 3 season porch, charcoal grill, fire pit and 60' of lake frontage! 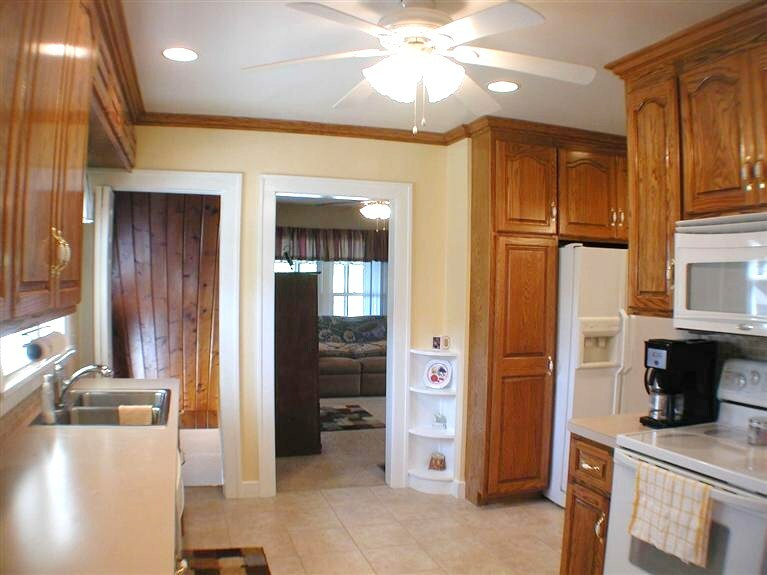 There is a 46" Flat Screen TV with Basic Cable, DVD player, Central A/C! 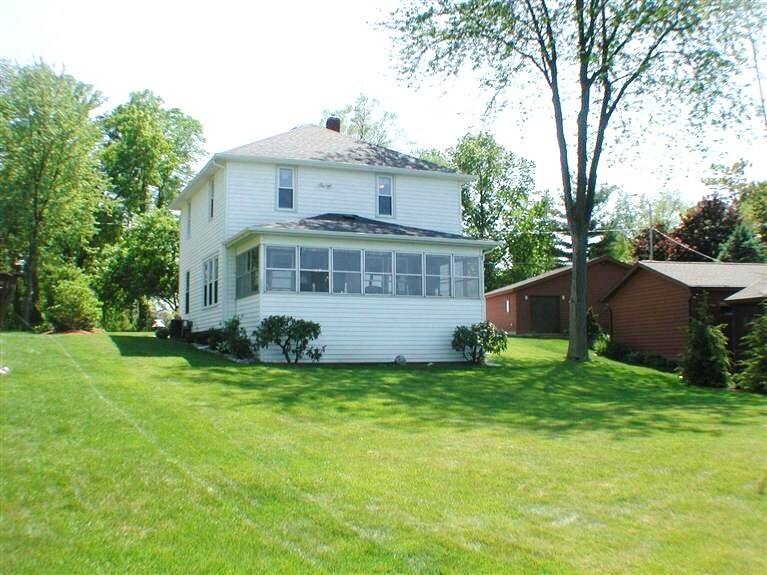 Cottage sits on a lake front lot with awesome view looking to the north up west Gun Lake! Pickerel Cove gets about 25' deep-good fishing- at end of dock, about 3'deep! Pickerel Cove is a very quiet street, not a main road! (check schedule top right)Plus $300 Security Deposit which will be refunded to you within 15 days of departure from cottage with all being left in good shape. Upper level bunk bed room! Dining Room! Door to Kitchen! Master Bedroom- King bed plus TV! 2nd upper level w/ Queen Size Bed! Friday Check-In after 3:00pm and Check-Out following Friday before 10:00am. 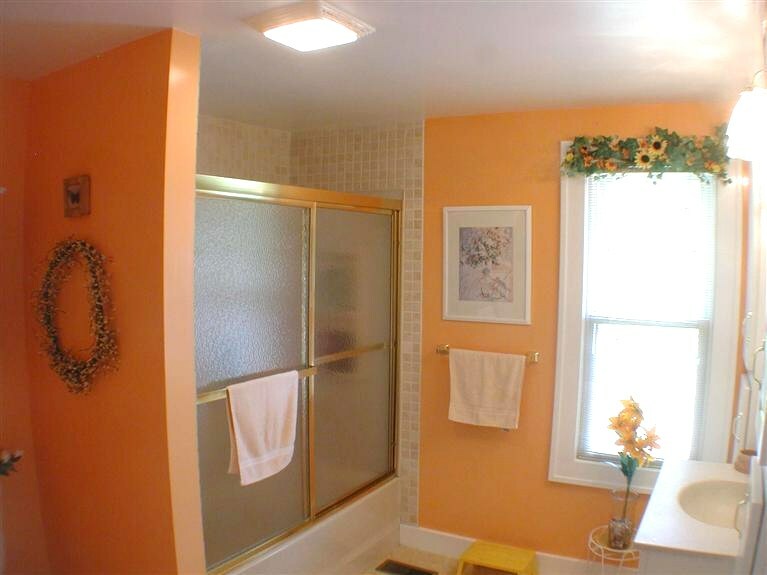 Upper Level Full Bath -Tub/ hower Combination - 1/2 bath on main floor! 3rd Upper Level Bedroom- has 1 set of bunk beds- 2 twins & 2nd bunk bed with full on bottom and twin on top! Boardwalk at water's edge! Electrcial outlet there! 3 Season Porch sitting area! Dining Table and chairs on the enclosed 3 Season Porch!